Human voices can resonate and magnify each other like violins can. 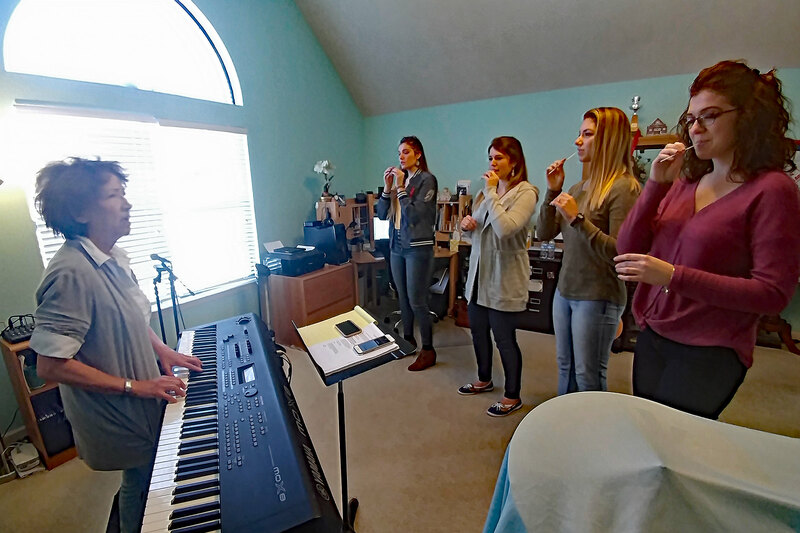 Singing harmony can be incredibly fulfilling as it emanates from you in the middle of a rich multi-layered, co-created sound and connects you to the people you're singing with. When your lead career is on pause or not happening at the moment, you can get employment singing backgrounds for someone else's live show or studio project. There can be significant networking and career-building possibilities if you can sing harmony with another artist, say on a TV show, a co-tour or a writer's round. Musicians who don't normally sing can learn to do so pretty quickly. I have taught touring players who never considered themselves singers to sing harmony confidently in live shows and in the studio. For all these reasons and more, learning to find, choose, match and create harmony is a worthy goal for anyone, so let's dig in. You can simply sing an exact parallel distance above or below the melody (say thirds, fifths or sixths) or you can sing different intervals to different notes. Or you can do like Emmylou Harris and create a contrasting melody to be the harmony part. If the melody goes all over the place, you could cross voice in harmony without going too high or low. Or as a group you could create block harmony, inverting chords to move as little as you can while letting the melody do as it wishes. And of course when you create more than one part (three or four (or more) -part harmony), you have to take into consideration how each harmony note works with the other. Blues uses lots of flat 7ths, bluegrass does NOT. Jazz incorporates major 7ths, 4 sharps, diminished and augmented chords, etc and these more complicated chords are taken into account in harmonies. Western music is instantly recognizable with 4 part barbershop-like tight harmonies, often using 2s and 9s in note choices. For rock music, sometimes your harmony choice can be so 'wrong', disregarding the underlying chords and chord progressions in the track, that it's just right! As to multiple parts, there are some brilliantly complex arrangements in many pop as well as black gospel music that frequently change from unison to 4 or more parts, but are so masterfully arranged they sound like a sonic tapestry with no seams. Harmony choices can indicate generational eras. These days there are a whole lot less oohs and aahs in background vocals than there used to be, so if you use them you need to take care that it doesn't make the song sound 'dated'... unless you're going for retro! And then there's the fact that for every rule created for harmony, there is usually a hit song that broke that rule. Whew! First I create a cool harmony the singer or group likes, that fits the genre of the song. Then I sing and/or play it on piano and record it so the singer can practice and memorize it. If it's a group I'm dealing with, I'll do this for each part so the singers can individually learn their harmony before putting it all together. Then I have the singer(s) practice. I use a plastic gadget called 'HearFones' to help singers zone into their own parts instead of being pulled into the melody or another part. It works great with groups of any number. After having the singer practice the harmony line a few times, I have them sing with the melody or other parts. If using them, I take the HearFones away and have them practice 'holding their own'. And lastly, I have the singer work on controlling the volume of their voice while singing the harmony part. If the harmony is too loud, it will overtake the melody. If too soft, it will not create the sonic envelope that compliments the melody. Getting the volume just right is as much of an art as finding the right note! One way that you can become familiar and experiment with more harmony choices is to dissect recordings of songs with background parts in them. You may need headphones for this to discern distinct notes in softer blankets of harmony. Try to focus on listening to just one line of harmony at a time, writing it down either in manuscript on staff lines or using a shortcut method such as Nashville's number system. For instance, here is how I would write in numbers a three part version of three blind mice (the melody is in the middle). For those not familiar with the number system, '1' is 'do' or tonic of the key. Which sounds Dissonant? Modal? In what genre does it seem to belong? There are many more choices you could make. Go on, try another! Then try to sing the melody while each of these chord progressions play (or while listening to them on the podcast audio). Good luck! What I find is that with time and experience memorizing harmony, singers start being able to create their own harmony lines. Sometimes they use their favorite harmony strategy to create their unique artistic definition. The country duo 'the Judds' comes to mind, where Naomi typically sang a haunting bluegrass-style part or two to Wynonna's lead melody. You'll hear that she didn't always trace the melody in parallel fashion in their early hit 'Grandpa'. When Wynonna went solo, her first single was "She Is His Only Need". I sang backgrounds with the writer Dave Loggins as Wynonna doubled her own melody to create three part harmony including the male voice. It was, on purpose, a different sound. Now check out some of my favorite harmony examples. We of course, have to include Pentatonix doing 'Havana'. The vocal arrangement is incredibly creative and tight and includes the voice as trumpet and beat box! 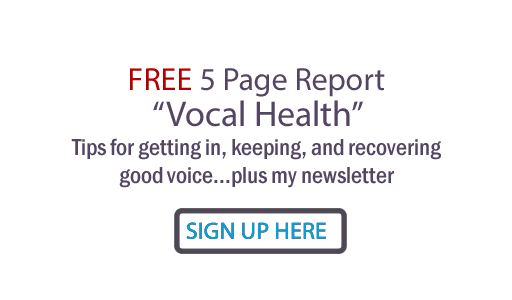 And let me finish with the vocal group pictured in this post's header that I've been thrilled to work with (thank you, Diane Kimbrough, for putting us together!) The Hall Sisters really do sing this precisely - even live with no electronic tuning! Harmony is everywhere, weaving through the melodies creating the music of the spheres. Oh, I know I've left out some other incredible examples, so please... feel free to add a link to your own favorite harmony performances in the comments! As always, I'm here if you need some help... just write me at my contact link. I love harmonies. It's interesting to hear about how different genres even have different styles. I wish more popular music on the radio had great harmony. Really nice job, Judy! My buddy Ray has been playing with harmony since he was seven years old, and was singing barbershop in the Marines on their way to Iwo Jima in 1945. When we first met (1996), our talking about harmony, and the influence of uncontrolled vowel sounds and their overtone partials (did you say "oohs and aahs?") mismatching between two people -- even on the same pitch without harmonizing -- is what led Ray to invent HearFones in the first place . . . so a singer can actually hear their own vice and how it sounds while they work on honing it to fit in context. If they give out awards for "America's Best Blogs," you should win one. I always SO appreciate the loving care you put into your blog, to say nothing of the incredibly interesting and valuable information and advice you share. As usual, BEAUTIFUL job! Thanks,Judy, for this very educational blog. My experience with the subject is minimal having sung in a choir at church many years ago. I recall the difficulty of learning a part that was not the melody and trying to not stumble into the melody. Frequently, the ladies were singing the melody, and being a tenor I “ desperately” wanted to sing their notes! Our director would never spend enough time drilling in the bass, alto, and tenor parts, (which were really baritone range), and the guys never felt comfortable. Your teaching methods would have really helped our choir! Hi Judy, Great post. Love the detailed explanations, i.e., difference between blues and bluegrass. I'm tone-deaf, and totally enjoyed this lively post. Thank you so much, Cynthia!! So happy you enjoyed it, and maybe you'll enjoy the harmony you hear even more for learning more about it!